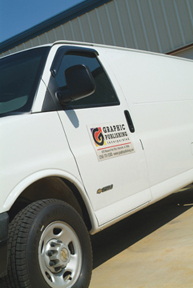 Graphic Publishing is located at 6170 Research Park Boulevard in Huntsville, Alabama. 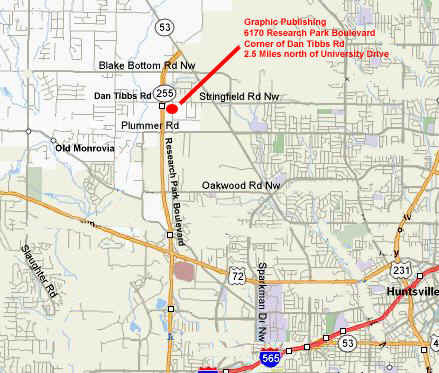 We are 2.5 miles north of Highway 72 (University Drive) at the corner of Research Park Blvd. and Dan Tibbs Road.